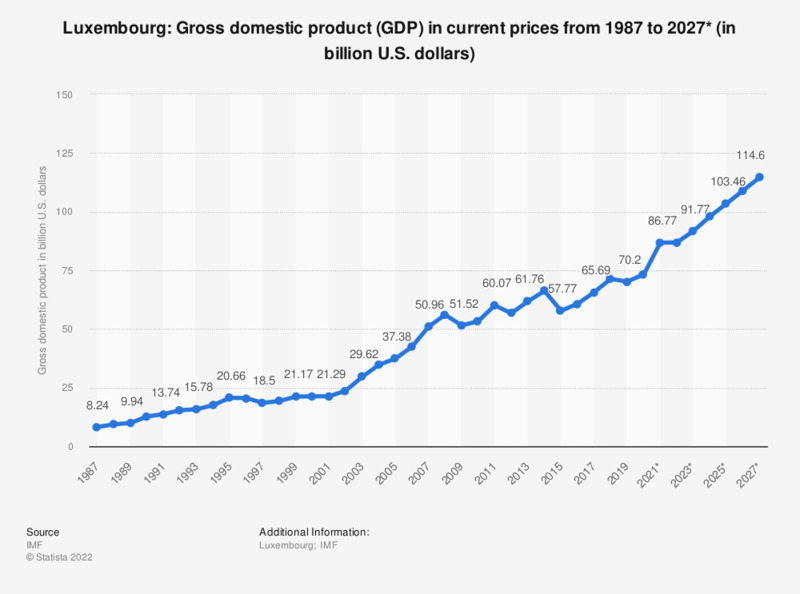 The statistic shows gross domestic product (GDP) in Luxembourg from 2012 to 2017, with projections up until 2022. Gross domestic product (GDP) denotes the aggregate value of all services and goods produced within a country in any given year. GDP is an important indicator of a country's economic power. In 2017, Luxembourg's gross domestic product amounted to around 62.53 billion U.S. dollars. Everything On "Luxembourg" in One Document: Edited and Divided into Handy Chapters. Including Detailed References. How do you feel about liberalization? To what extent do you agree with the statement: "people in Luxembourg have a lot of things in common"? How confident do you feel that discrimination against women in Germany will have ended in the next 20 years in the following areas?